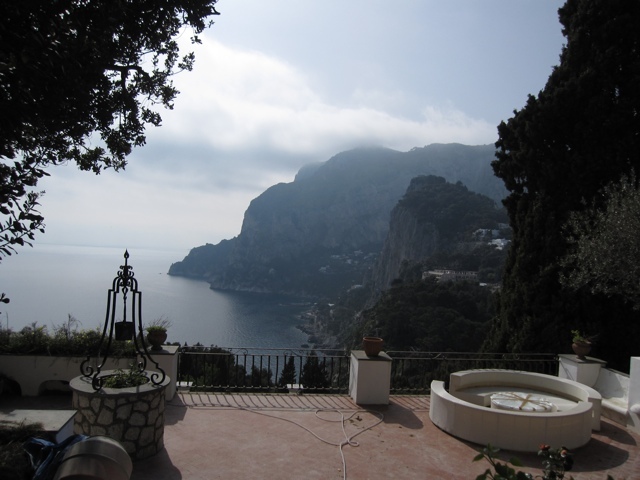 Capri is very popular. It was fairly light when we were there since it was a Monday in April. When Logan and I were there it was unbelievably crowded. But, as soon as you get away from the main areas you don’t see as many people. 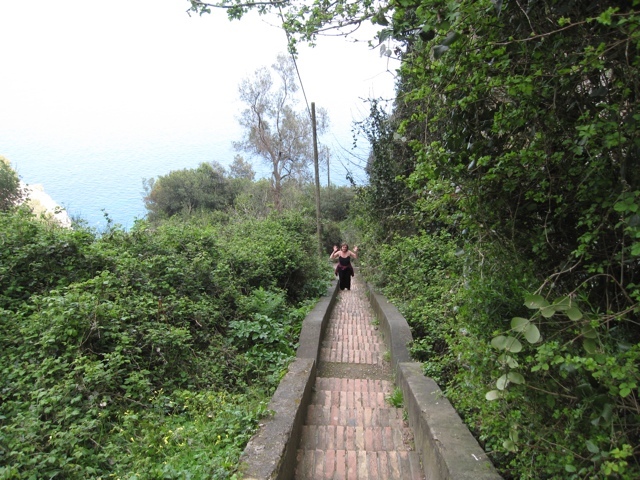 We took a walk from Capri town along an undeveloped area and didn’t see anyone for the hour or more that we walked. 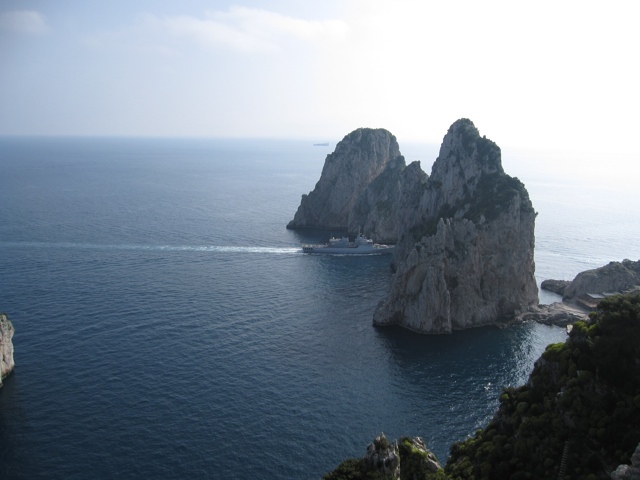 It changes to a paved trail along the cliffs and soon gets to the famous Faraglione rocks. 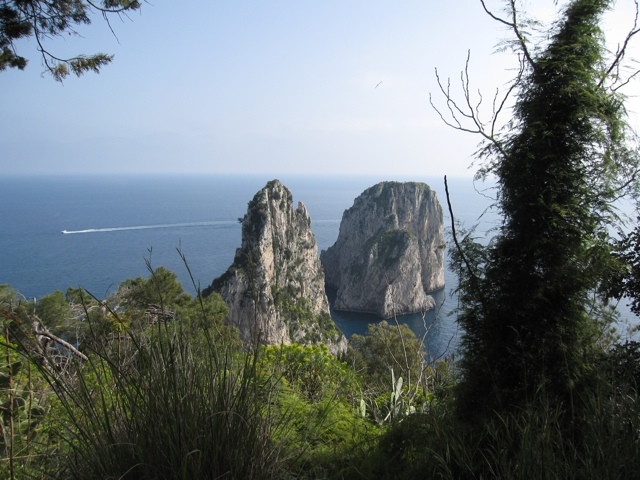 If you have ever seen a picture of Capri it is probably of these rocks. We saw three Italian naval ships doing practice maneuvers and caught one of them as it went between the rocks. We continued the walk along the cliffs, just beautiful with lots of amazing views. At the end we found out why we didn’t see many people, we had to go up hundreds of steps at the end to get back to the road. Here is Wynette about 75% of the way up. And here she is almost to the top. An amazing walk and well worth the steps. It took another 30 minutes walking on the path past people’s back yards, all fairly flat, to get back to the hotel. 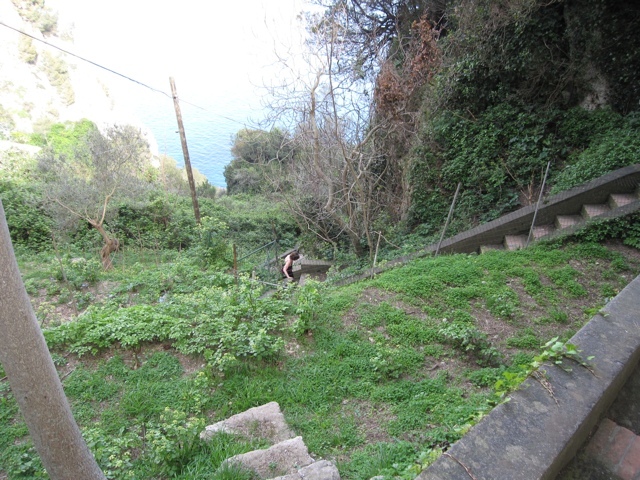 Those steps could be a heart attack maker! We weren’t as adventurous as you and didn’t wander far from the ‘beach’ * area when we were on Capri.